A contemporary woman makes complex negotiations with history and culture in a voice equally strong, discerning, God-soaked, and edgycreating music out of personal longing and cultural tragedy. Hashem Beck's poems offer a lens through which to see life in the Middle East. They are timeless explorations of love, loss, and the poet's attempt to understand her own experience in the context of world events and the spiritual realities that permeate them. ZEINA HASHEM BECK, a Lebanese poet, holds degrees in English literature from the American University of Beirut. Her collection To Live in Autumn won the 2013 Backwaters Prize. 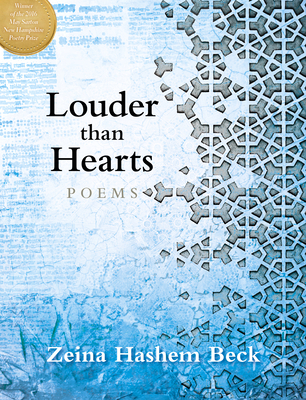 Her chapbook 3arabi Song won the 2016 Rattle Chapbook Prize. She has published in Ploughshares, Nimrod, Poetry Northwest, Mizna, Sukoon, Magma, and Mslexia, among others. Founder of PUNCH, a poetry and open mic collective in Dubai, Hashem Beck is a strong performer and has been featured in literary festivals in the Middle East, the UK, and the US.